Making your own Christmas gifts is the perfect way to get in the holiday spirit and show your appreciation for friends and family…all while protecting the environment. What’s more, you’ll save money too! According to a national survey, 70% of Americans would welcome less emphasis on gift giving and spending. That’s not surprising, given that the average American spends $800 on gifts over the holiday season. 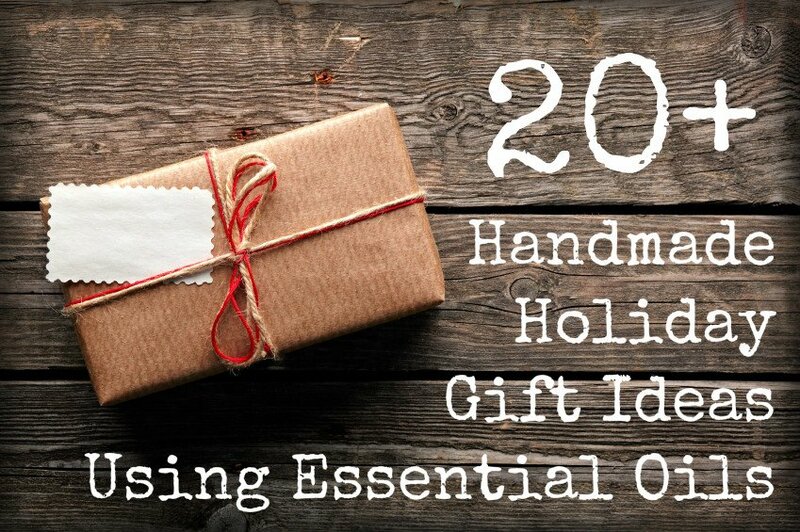 These thoughtful, beautiful and personalized homemade gifts show that this spending is unnecessary – they look just as good as anything you’d buy, yet they cost far less. Even the most house-proud out there will love these quirky candles, coasters and vases. This gorgeous candle was made using vintage teacups that cost just 25 cents from a thrift store. Keep an eye out for these at yard sales too! Simply fill the teacup with soy wax and some Christmassy scented essential oils – think orange, cinnamon, clove, ginger, nutmeg, vanilla or even peppermint. Wrap it in a pretty box and no one will know it wasn’t store-bought! Follow this YouTube video and you can’t go wrong. For a foraged gift, collect some twigs and bundle them together, tying at the corners with organza ribbon. Hang a photograph in the middle. You’ll end up with a photo frame that lends a perfect Fall look that will add some rustic charm to any home. More details are here. This unique and practically free homemade gift takes a little bit of time as you have to individually coil several magazine pages. The good news is you can do it with your eyes closed (almost)! Switch on your favorite Christmas movie and get crafting. Use pages with reds, golds and creams for a holiday feel. Here is the easy tutorial. With a few basic tools you can turn an old log into a beautiful gift – some natural, wooden coasters. Here’s how. Upcycle your old lightbulbs into quirky vases using a little wire. You can make endless variations of these vases, meaning your friends will each get a unique gift. See for yourself! This is a really sweet and nostalgic way to gift memories to someone close to you. Add photos, souvenirs and other trinkets to a jar in a creative way, just like Fiskars Crafts have done. Got a bunch of out-of-shape old sweaters? They can be made into chic and cozy winter cushion covers in just minutes, reminiscent of something you’d find in Pottery Barn. See how to make them here. It’s a fact that the average woman uses 12 beauty products, containing 168 different ingredients, every single day. These contain so many different toxic chemicals that they’re just plain unhealthy. Give your friends and family the gift of healthy, natural beauty with one of these homemade pampering products. Using just sugar, olive oil, flax seed oil and peppermint essential oil you can whip up this delicious sugar scrub in minutes. Package it in a cute jar, tied with a ribbon and a candy cane and it’s an ideal Christmas gift. Looking for more sugar scrub recipes? Here are 23 scrub recipes to ensure everything from your lips to your feet are looked after. Another candy cane inspired beauty product, this lip balm is delicious, silky and moisturizing. It also has a delightfully sweet aroma thanks to the vanilla essential oil. Here’s how you make it. Make use of your herb garden to produce a refreshing citrus and herby smelling soap. You just need some plain, unscented glycerin soap, herbs, citrus fruits and a few kitchen items. Play around with the flavors to find your favorites. Winning combinations include rosemary and lemon, or mint and lime. Here’s the basic recipe and, for another 10 great soap recipes, have a look here. What could be more thoughtful than making a customized perfume blend? Wellness Mama uses a combination of various oils, including vanilla, frankincense, rose, lavender and wild orange, to make a fantastic smelling perfume. See the recipe here. If you really want to push the boat out, consider gifting that special someone a basket of natural and homemade beauty treats so they can pamper themselves all Christmas long. Along with a sugar scrub, lip balm, soap, herbal perfume and a scented candle, try adding in homemade bath bombs, one of these body butter recipes, and some Epsom salts scented with essential oils. Here are a few of the best homemade gifts for the foodies in your life. Choose organic and local ingredients for one of the most eco-friendly gifts you can give. These gorgeous gifts are easy to make, can be tailored to the tastes of the recipient and are sure to be used. They take a couple of weeks for the flavors to fully develop so don’t leave this to the last minute! Here’s how you flavor oils. These jars look great, and you’re sure to find a recipe for the foodie in your life. Simply take a Mason jar and add all the dry ingredients the recipe calls for, layer by layer. Tie it with a cute ribbon and printed recipe and it’s ready to gift. What about a recipe for gluten-free cookies in a jar or a delicious chocolate pumpkin loaf? This hot chocolate in a jar, complete with mini marshmallows and chocolate chips, is another simple but popular idea. For something savory, try this curried lentil soup mix or an easy beer bread mix (you can even gift a bottle of craft beer along with it). A homemade bottle of flavored wine is another winning eco-friendly gift idea, particularly around the festive season. Unfortunately, some wines can take a year or so to ferment but if you start now, you’ll have next year’s offerings already sorted! From elderflower to apple, here are 8 delicious homemade country wine recipes. For a beautifully presented non-alcoholic beverage try this festive spiced tea made using oranges, cinnamon, cloves, pomegranate juice and tea. Check out the recipe here. Who doesn’t want a one-of-a-kind, customized accessory or piece of jewelry? When it’s environmentally friendly it’s even better! Braid hemp cord (or any other cord you have) and affix with an anchor or beading for an easy but classy DIY bracelet. Here are the instructions. Yes, these bracelets are made of actual twigs but they don’t look like they are! Simply fashion fresh and flexible thin twigs into bangles and add a coat of spray paint or leave au natural. The step-by-step process can be found here. Everyone is a smartphone junkie these days so this gift is sure to be appreciated. Turn an old necktie into a fabulous and protective phone case. See here for details. Another way to turn old clothing into a stylish gift is by using a sweater sleeve as a coffee cozy – perfect for coffee-on-the-go on cold winter mornings. It’s pretty easy to do but more details can be found here. Know someone who has green fingers? They might appreciate some of these ‘green’ gardening gifts. These little burlap pockets can be placed directly in the soil to provide your recipient with plenty of pretty blossoms all summer long. See how to make them here. Pick up a vintage china cup in the thrift store for a few cents and with a little glue, string and some birdseed you can produce this stylish bird feeder. 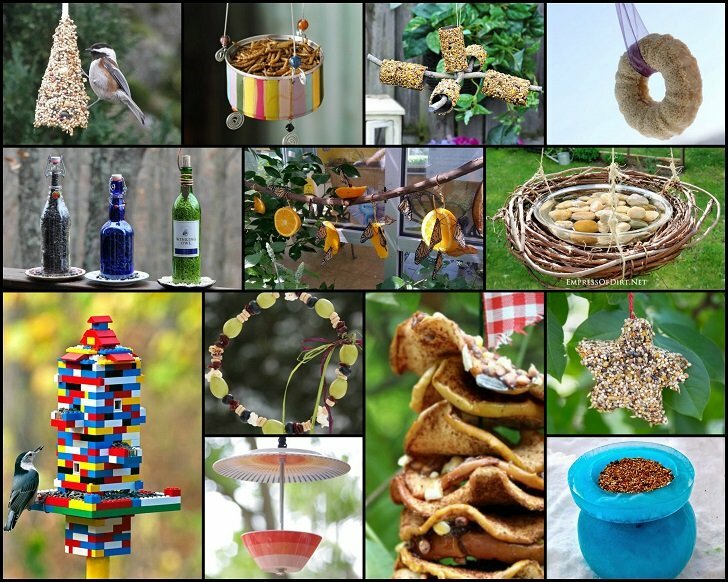 Your birdwatching friends will love it! Make it here. Paint a variety of pots or jars with chalkboard paint and add some cute drawings or messages before planting herb and spice seeds. They’re a great addition to any garden or window ledge. See the tutorial here. Terrariums are the perfect gift for gardeners without gardens! They also make great holiday gifts. Here are 10 unique terrarium ideas using repurposed containers…some of which are even wearable! Try out these thoughtful DIY gifts for the men in your life. This soap dispenser is made from an empty Jack Daniels bottle and the top of a liquid soap bottle. Easy peasy. See how good it looks here. Either fill it with some liquid castile soap or make your own version. ‘Whip’ up a batch of this luxury shaving foam made with all natural ingredients and essential oils of your choice. Coconut oil and shea butter make for a silky soft shave! Add it to a jar with a homemade gift tag and it’s ready to go under the tree. Follow this recipe. If your intended recipient has no use for shaving cream, then maybe some beard oil would suit him better. That stuff is expensive when you buy it in the store, so a luxury homemade version would be a gift welcomed by many bearded guys. Follow this link for the seasonally appropriate recipes for Bourbon Ginger Beard Oil or a Cracked Pepper & Cedar Oil. Beer lovers will be thrilled with a homemade wall mounted bottle opener, with a handy compartment to catch the bottle caps. Check out the tutorial here. These personalized cufflinks are ingeniously made with old scrabble letters (aim to use the wooden letters over the plastic version). You’re sure to find incomplete sets lying around in the basement, attic or at car boot sales. Don’t they look great? Our four legged companions deserve Christmas gifts, just like the rest of the family. You don’t have to spend a fortune on products aimed at pet-lovers though. Here are a few ideas for Fido and Kitty. If your pet’s collar is looking a little worse for wear, consider giving it a new lease of life with a piece of bright scrap fabric. It just takes 15 minutes and couldn’t be simpler – see here for instructions. Cats will go crazy for these felt rats stuffed with catnip. A little material, stuffing, catnip and glue or a needle and thread is all you need. Follow this 3-step tutorial. Dogs will go nuts for these peanut butter and banana treats. You’ll be happy to know they also contain a little omega 3 rich flaxseed – great for your dog’s skin, coat and joints. The recipe can be found here. Now that you’ve gone to all the trouble of creating a unique, eco-friendly and handmade gift, you can’t very well wrap it in store-bought paper and stick on a conventional gift card! And given that, annual trash from gift-wrap and shopping bags totals 4 million tons in the US alone, we should all be doing our share to cut down on this. Try one of these six eco-friendly gift wrap ideas, or use colorful magazine pages, old maps, reusable decorative tins, baskets or boxes. Finally, gift tags are easy to make – why not recycle your old holiday greeting cards? See Instructables for the simple how-to.